Did you know Scrabble used to be called Lexiko? Learn more about one of the world's favorite games on National Scrabble Day. Scrabble players, time to rethink your game because 300 new words are coming your way, including some long-awaited gems: OK and ew, to name a few. 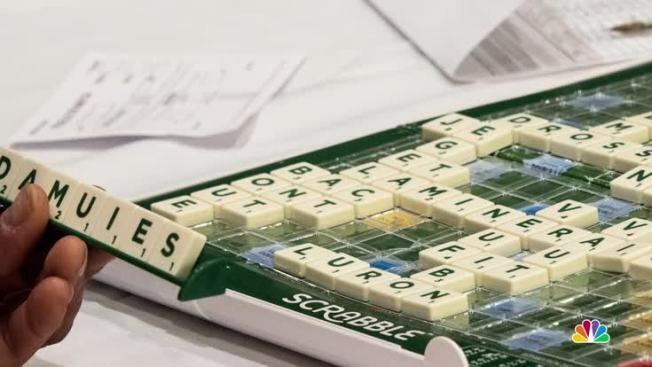 Merriam-Webster released the sixth edition of "The Official Scrabble Players Dictionary" on Monday, four years after the last freshening up. The company, at the behest of Scrabble owner Hasbro Inc., left out one possibility under consideration for a hot minute — RBI — after consulting competitive players who thought it potentially too contentious. There was a remote case to be made since RBI has morphed into an actual word, pronounced rib-ee. But that's OK because, "OK."
"OK is something Scrabble players have been waiting for, for a long time," said lexicographer Peter Sokolowski, editor at large at Merriam-Webster. "Basically two- and three-letter words are the lifeblood of the game." 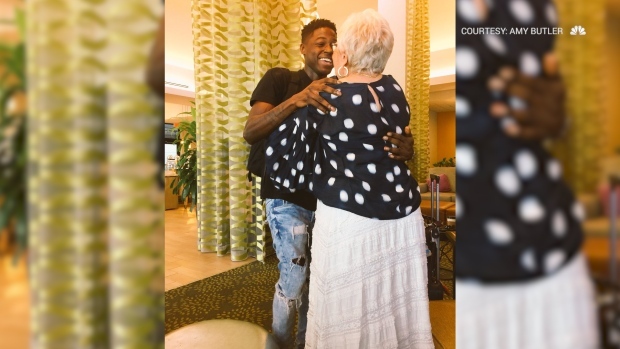 A 20-something New York man flew about 1,000 miles to Florida to meet an elderly woman he befriended on the Words With Friends app. There's more good news in qapik, adding to an arsenal of 20 playable words beginning with q that don't need a u. Not that Scrabblers care all that much about definitions, qapik is a unit of currency in Azerbaijan. There are some sweet scorers now eligible for play, including bizjet, and some magical vowel dumps, such as arancini, those Italian balls of cooked rice. Bizjet, meaning — yes — a small plane used for business, would be worth a whopping 120 points on an opening play, but only if it's made into a plural with an s. That's due to the 50-point bonus for using all seven tiles and the double word bonus space usually played at the start. The Springfield, Massachusetts-based dictionary company sought counsel from the North American Scrabble Players Association when updating the book, Sokolowski said, "to make sure that they agree these words are desirable." Merriam-Webster put out the first official Scrabble dictionary in 1976. Before that, the game's rules called for any desk dictionary to be consulted. Since an official dictionary was created, it has been updated every four to eight years, Sokolowski said. There are other new entries Sokolowski likes, from a wordsmith's view. "I think ew is interesting because it expresses something new about what we're seeing in language, which is to say that we are now incorporating more of what you might call transcribed speech. Sounds like ew or mm-hmm, or other things like coulda or kinda. Traditionally, they were not in the dictionary but because so much of our communication is texting and social media that is written language, we are finding more transcribed speech and getting a new group of spellings for the dictionary," he said. Like ew, there's another interjection now in play, yowza, along with a word some might have thought was already allowed: zen. There's often chatter around Scrabble boards over which foreign words have been accepted into English to the degree they're playable. Say hello to schneid, another of the new kids, this one with German roots. It's a sports term for a losing streak. Other foreigners added because they predominantly no longer require linguistic white gloves, such as italics or quotation marks: bibimbap, cotija and sriracha. Scrabble was first trademarked as such in 1948, after it was thought up under a different name in 1933 by Alfred Mosher Butts, an out-of-work architect in Poughkeepsie, New York. Interest in the game picked up in the early 1950s, according to legend, when the president of Macy's happened upon it while on vacation. Now, the official dictionary holds more than 100,000 words. Other newcomers Sokolowski shared are aquafaba, beatdown, zomboid, twerk, sheeple, wayback, bokeh, botnet, emoji, facepalm, frowny, hivemind, puggle and nubber.